This historical fiction is the debut novel by an award-winning short story writer. Her true strength lies in creating vignettes; small snowglobe-like places that her characters inhabit. The tale switches between present day and 1950s Soviet Russia, following the memories of a prima ballerina of the Bolshoi. Pulling the pieces together is a determined auction house associate. When the ballerina donates her distinctive jewelry collection to benefit the local ballet, they begin to research the history of the unusual jewels. Of especial interest is the set of amber pieces — amber with insects trapped inside. 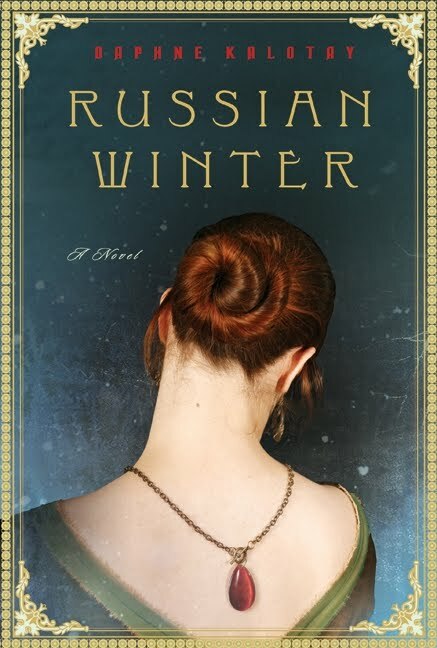 While the young, determined auctioneer seeks clues to the maker and owners of the suite, Nina Revskaya retracts further within herself and hides from the painful past. Kalotay’s tone is most comfortable with the “present” scenes. Her dialogue and actions feel more comfortable. Though the “past” scenes are a little bit stiff, the characters are warm. But by far, Kalotay’s strength is painting the picture. Her descriptions bring to life a Soviet lifestyle that is barely possible to imagine. It is not a classroom understanding of the Iron Curtain. It is a human, everyday. The terror and mystery of that other dimension is, in part, revealed, in a very tactile way. Kalotay also excels in the portrayal of life backstage. What it is like to wait in the wings, to see the show from an oblique angle, to be a part of the not-so-glamorous backstage life. How pieces of ribbon and clay makeup become a dramatic, perfect picture with stage lighting, underscored by an orchestra. Perhaps the most poignant scene is when a number of the dancers, with a few hours off in Berlin, accidentally take the subway two stops too far… and find themselves on the other side of the Wall. They see how different life could be, in the seemingly meaningless details. But it is these details that make it human. And make Kalotay’s novel so vivid. Read this one by a roaring fire, and with a mug of hot chocolate. Thanks to Mark at Harper Perennial for the Advanced Reader Edition. In a much less traditional mode are these stories from Russian icon Anton Chekhov. This is a vodka martini with a twist, both shaken and stirred. Greenman brings a new layer of (mis)fortune and understanding to the pop culture names we love to hate. 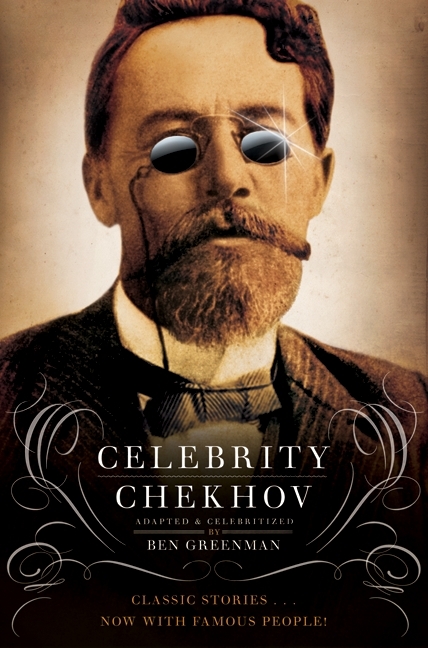 While at first it may seem either unfair to Chekhov, or possibly a celebrity, after a few stories one begins to realize, this is not out of spite. There are no judgments, just observations of the human condition. That’s not to say it’s all dry and dour. There is humor and a bit of ridiculousness. But it works. Greenman has become practiced at these somewhat out-of-body tales. 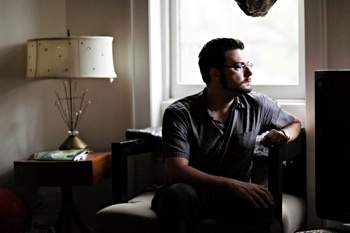 While there is a modicum of discomfort, it engages the reader in a new way. There is a sadness by enveloping the faces and personalities that we *think* we know into classic stories. It’s like asking Queen Elizabeth II to go to a rave. By juxtaposing the two, it forces you to reconsider both. Something else to bear in mind for reader. Don’t be afraid of Chekhov. Russian is often a scary moniker in the world of literature. These stories are very accessible, made even more so by Greenman’s adaptations. It makes me want to revisit Chekhov, actually. Many thanks to Erica at Harper Perennial for the review copy.